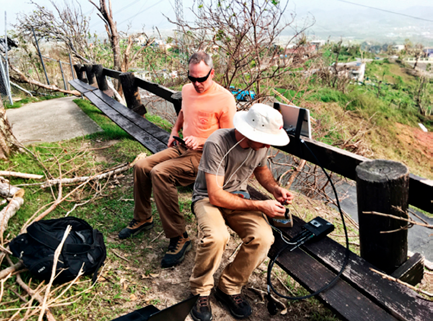 From left, members of the Avwatch team, Ryan Kowalske and Marcus Tooker, deploy specialized gear to re-establish Internet connectivity in Puerto Rico in the wake of Hurricane Maria. 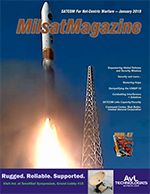 Photo is courtesy of Avwatch. This is why the Massachusetts-based team of four set off for the devastated island with nearly 1,000 pounds of mobile network gear, cases of water, and enough dried food to last them several weeks. The Avwatch team, a nationally-recognized leader in disaster response and mobile tactical networks, was on a humanitarian mission to establish Mobile Ad hoc Networks (MANET) in areas where critical communications had gone dark after Hurricane Maria struck and devastated the island. We didn’t know what we were walking into,” said Marcus Tooker, Avwatch VP of operations. He said a private foundation director contacted the team, recognizing them for their proven emergency response and network expertise in past disasters, and requested their assistance in Puerto Rico. in Mariana. The center, which feeds more than 300 people a day, had been without power, connectivity, and logistical support for weeks following the hurricane. With food and water in short supply and no means of communication, many more desperate people were showing up at the door. With widespread devastation, and time running out several weeks after the storm, Nieves would help the Avwatch team prioritize once on the ground, the director said. The AVwatch team landed on the eastern side of the island in the city of Humacao. With only a specialized hand-held radio, battery, and solar panel, they quickly found and patched into an existing WiFi signal and pointed that signal toward the mountains. With the main hub established in Humacao, the team then deployed relay gear in the mountains and created a wireless network of nodes, extending connectivity to outlying and otherwise cut-off communities. Among the first was Mariana. The team established a hot spot at the community center, and at the advice of Nieves, they established additional nodes in nearby towns, one at a local church about 20 miles away which was served as a high-capacity community center, as well as three hospitals. For the first time in weeks, people were connected with their loved ones. Some were without internet or cell service for nearly a month and didn’t know if family members were alive. Tooker said because they were without power for so long, most of the phones were dead. This meant that the team also had to set up generators in some areas, and solar charging stations in others. In a short period of time, with connection reestablished and batteries back to full power, Tooker said he witnessed hope being restored for many residents. He watched the three men celebrating and exchanging high-fives as they each learned their aunts, uncles, and other extended family and friends were alive and well. Similar cheers continued and multiplied throughout the community center as more and more people charged their phones, connected to the ad-hoc hot spot, and contacted friends and family on the island and elsewhere around the world for the first time in weeks. He said with a small ground support team placing lightweight but powerful nodes and solar panels on mountaintops, the team could effectively create a semi-permanent internet network across Puerto Rico’s entire 3,500 square miles. 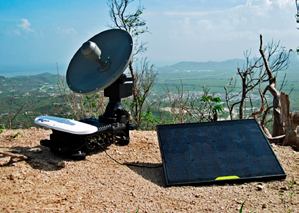 The Avwatch team used lightweight antennas, handheld radios, and solar panels to re-establish internet connectivity in Puerto Rico in the wake of Hurricane Maria Photo is courtesy of Avwatch. In the days and weeks that followed, Nieves used the Avwatch network to continue managing the center, coordinating logistics, food, and medical deliveries, and soliciting volunteer support and donations via social media. While no one can predict the weather, looking ahead, the Avwatch team anticipates more hurricane responses in the future. Like any emergency response team, Tooker said they hope for the best, but are prepared for the worst. “If next year is anything like this year, we’ll be front and center, and ready to help again,” he said. The Avwatch team consists of nationally-recognized homeland security experts, each well-versed in military, federal, state, and local disaster response planning and protocols. Avwatch technology has been used during security efforts at Super Bowl 50, the Boston Marathon, and emergency responses including Hurricanes Sandy, Irene, Irma, Maria, and the 2010 Deepwater Horizon oil spill response. 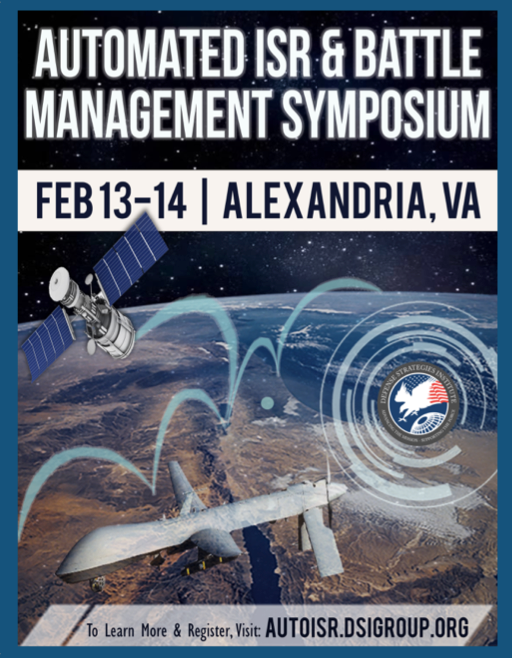 The company provides training for U.S. Air Force and Marine forces prior to overseas deployment and offers a wide range of aerial platforms in support of advancing UAS technology.